Great Northern Snowcat Skiing. 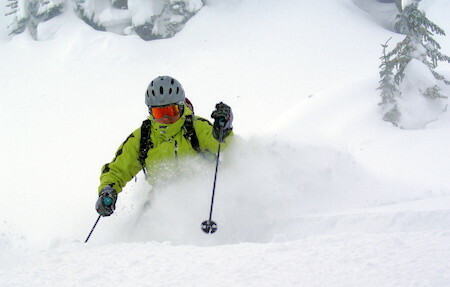 Backcountry Mountain Lodge & Deep Powder Alpine Snowcat Skiing in BC's Selkirk Mountains. Great Northern Snowcat Skiing. Backcountry Lodge & Deep Powder Alpine Snowcat Skiing Adventures in BC's Selkirk Mountains, Rocky Mountains. a backcountry lodge that has been specifically built with you the skier in mind. Every detail of your stay will be taken care of from the moment you arrive. Here you will be able to combine your exciting backcountry adventure, with all the modern comforts of our private mountain lodge, which features fresh mountain air and cozy accommodations to assure you of a good night's sleep. every day. Then at the end of a deep powder day you'll enjoy the natural beauty of our pristine mountains, complimented by the warm ambience and the cozy comforts of our Lodge. At Great Northern Snowcat Skiing, our state-of-the-art snowcat effortlessly transports you to the upper alpine ridges of Great Northern and Thompson Mountains. 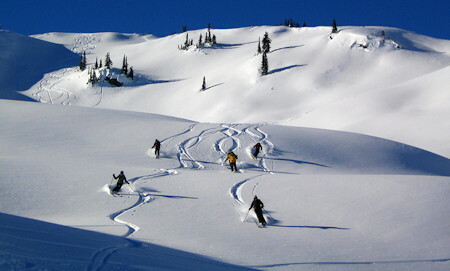 Our backcountry lodge is limited to only 16 guests giving you plenty of access to 75 sq. km. (30 square miles) of expansive and varied terrain. 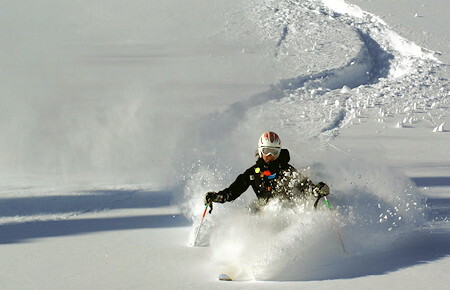 Two guides will accompany your group and will do all they can to find the best snow and terrain for the group. Skiers are provided with avalanche transceivers and instruction and practice in their use. Our guides at Great Northern Snowcat Skiing have many years of backcountry skiing experience, and will offer help and instruction in all conditions. They are dedicated professionals and are committed to looking after your safety and enjoyment. After a day of skiing simply relax and renew your tired muscles in a hot sauna, enjoy après-ski recreation in our spacious common room, or sit by the fire. And don't forget the great food! From eclectic to extraordinary, our chef prepares fresh daily the finest in gourmet cuisine. You will find getting acquainted with your fellow skiers an international experience at our casual, family-style dining table. but that doesn't mean our backcountry ski lodge is hard to get to. We're located approximately an hour and a half south of Revelstoke, near the town of Trout Lake, British Columbia, Canada. 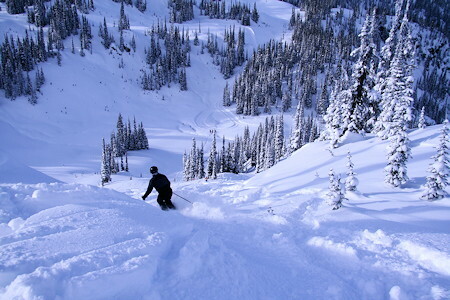 you will be pleasantly rewarded at Great Northern Snowcat Skiing, in the Selkirk Mountains of BC's Rocky Mountains region near Revelstoke. We take pride in our dedication to excellent service and friendly hospitality. Whether you come with friends or are traveling solo, you will receive a genuine warm welcome from our Great Northern family, so come visit us soon. BC's Selkirk Mountains near Revelstoke, BC, Canada.